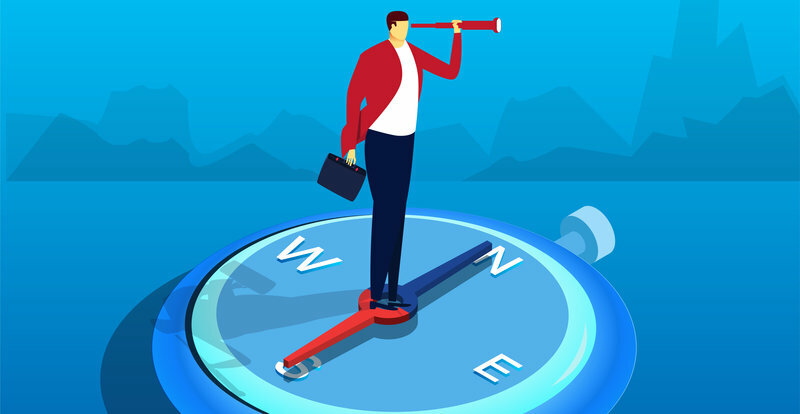 During uncertain times it is more important than ever to give employees a clear picture of the future, share information as soon as it comes to hand and answer employee’s questions and concerns quickly and honestly. Effective employee communication during a recession can help maintain productivity, ensure the business remains profitable and competitive, retain your best staff, and protect your brand. Employees may have different needs, based on factors such as their age, life stage and prior experience of change or recession. Internal communications may need to be customized to suit your target employee audiences. Then, once you have customized messages, you need to deliver them. This can be tricky via some types of generic internal communications channels (like the intranet or company newsletters), but where possible, customize delivery of employee communications to suit different needs. Put new information out quickly. Employees should hear company news from the company first. Nothing is worse for employee morale than learning about changes to their organization from the media, family or friends before they hear about them from their employer. Coordinate your internal and external messages. Sometimes, however much you would like to, you cannot brief staff before you release information publicly. In these cases, organize a staff briefing or schedule message delivery to coincide with your public announcement. For some types of messages, a fast response tool with high message cut-through is essential. 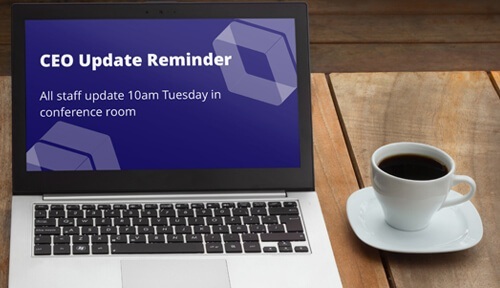 In these circumstances consider using a Desktop Alert that delivers messages directly onto employees' computer screens. These can contain important messages such as a senior manager resignation, importance financial results, buying or selling part of the business. Scrolling newsfeeds are another way to update employees quickly. This format is ideal for call centers, as it lets you keep staff informed of the latest updates without interrupting their flow of work. If you use RSS feeds in your press releases or website, set up a scrolling news feed to deliver RSS headlines and direct staff to further information. This will give staff the news headline automatically on a scrolling ticker bar, as soon as it becomes public. And it’s efficient: automatic RSS feeds mean staff don’t need to take the time to opt in. Keep track of when staff last heard from you. Schedule in regular updates, even if you do not expect to have anything ‘new’ to report. Pre-schedule your messages so that employees receive information at the same time as you release it externally (eg. to the stock exchange or media). Even if you don’t know what the outcome will be, for example if the business is up for sale but the buyer is not confirmed, you can set up variations of messages and then publish them when you have final information. Good timing is only part of the story. We need to make sure we are getting cut-through for important messages too. This is becoming increasingly difficult due to noise which may be increased during uncertain times. Use internal communication tools built to bypass email, a channel which is overused and often fails to get important messages across. 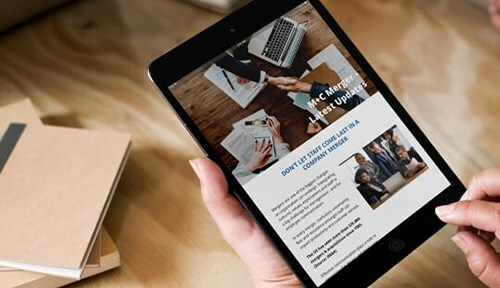 Collate general news and updates in an easy-to-read, internal newsletter. Set internal communications messages up so that they recur or even stay on screen until employees have seen and acted on the information. This is particularly helpful for updates that need to be read. Monitor readership to gauge whether staff are aware of your messages and reading your materials. Ensure your communication channels allow you to report on who has or has not opened the full message and clicked on the links that it contains. That way, you know exactly who has seen what. Repetition, repetition, repetition. Ensure you repeat important communications to staff so that messages are read and understood, without becoming ‘wall paper’. No news is good news? For your employees, it’s rarely the case – and certainly not in a recession. It’s essential to use face-to-face effectively. An RSVP invitation tool is a meeting request tool for getting the best out of events like employee briefings or CEO roadshows. It's particularly useful in uncertain times when communicating in smaller interactive groups is important. The targeted pop-up format and recurrence options help ensure that employees come along and participate in these sessions. Use video tools if face-to-face leadership communication is not possible. Credibility, conviction and passion are best conveyed visually. When a face-to-face leadership communication is impossible, use video to let staff see the commitment and intent in your senior leaders’ eyes (and hear the passion in their voices). 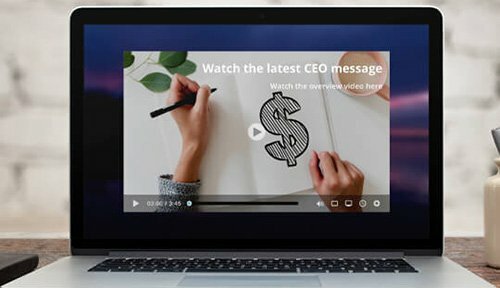 Deliver video to the desktops of the employees you select, prompting them to watch the video and encouraging them to click through to a discussion forum or intranet pages for further information. There are a range of initiatives organizations can consider to create and maintain a two-way dialogue with employees. 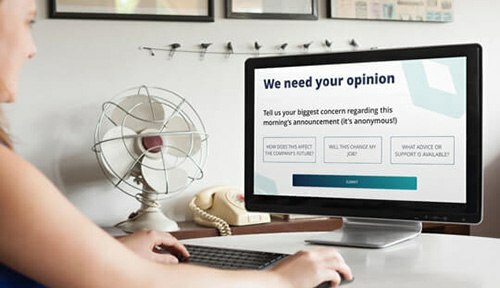 Solicit feedback - Run open staff surveys, promoted via an interactive screensaver message or on the intranet, to give employees a voice and keep lines of communication open. Review employee feedback and collect suggestions for improvement. A CEO or senior manager blog – This can act as an ongoing ‘town hall meeting’. The direct, informal nature of blogs appeals to many employees and encourages them to approach their senior team with questions and comments. Employee discussion forums - These can provide a way for staff to explore ideas and provide feedback. They can also help to gauge the feeling within the organization. Just the type of questions being asked (eg. “Is my job safe?” versus “What career opportunities are there?”) give a good indication of how people are feeling. 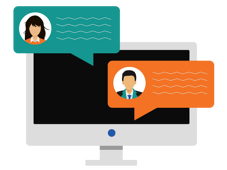 Q&A discussion forums - These can be a real asset for employees to get quick answers. Ensure moderator(s) receive an alert when a new question is posted. Questions can be tagged to become part of an evolving, searchable repository of knowledge. It can also save time constructing FAQs ahead of an announcement, and the questions evolve quickly based on real needs rather than predictions. Address rumors - If you are brave enough, consider setting up an employee discussion forum as a ‘rumor mill’ to let staff post any rumors they are hearing anonymously. Bringing them out into the open lets you address them quickly. SnapComms tools provide a range of moderation options and are highly secure, which can reduce any concern of leaks outside the organization. Find out more about how SnapComms can help improve communication during an economic downturn.